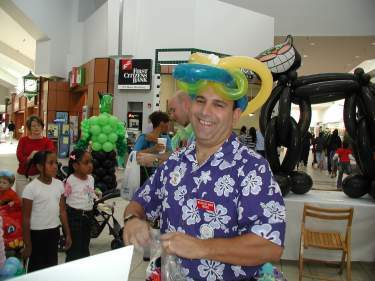 Mike Shenhouse is THE "Balloon Man" of the triangle. 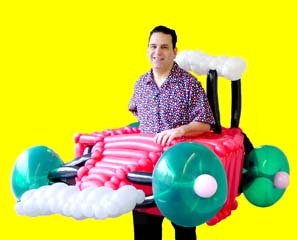 Whether it is a simple one balloon dog or a "hundred +" balloon race car, Balloon Man Mike is the one to get. 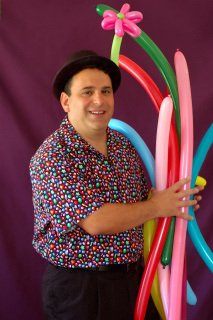 While many performers make balloons, Mike is the local expert. 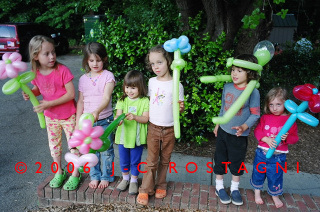 This is all he does, and he does it very, very well. 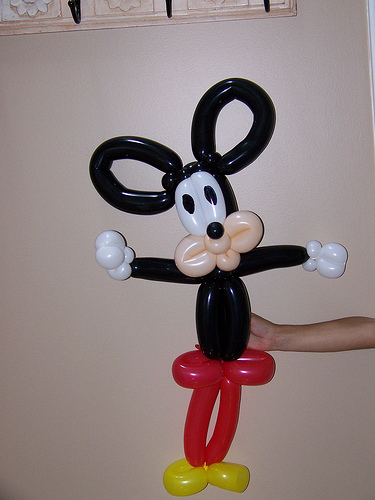 If you need a large custom balloon sculpture, a bouquet of balloon flowers, or are sponsoring an event and need balloons for the children - Balloon Man Mike is the guy to call.